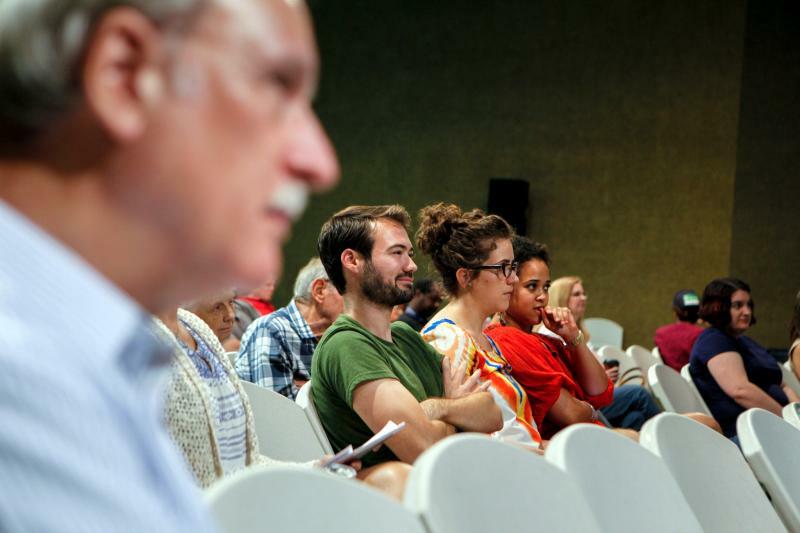 Growth and the interests of real estate developers commanded the discussion among candidates vying to represent Austin’s wealthiest district Tuesday night. City Council Member Sheri Gallo, who has held the District 10 Council seat since she was elected in 2014, sat alongside candidates Alison Alter, Nick Virden and Rob Walker fielding questions from residents. Austin voters will choose a new mayor on November 4, 2014. KUT's Nathan Bernier sat invited the candidates running for the highest office in the City of Austin to our studios to speak with us about their visions for Austin. 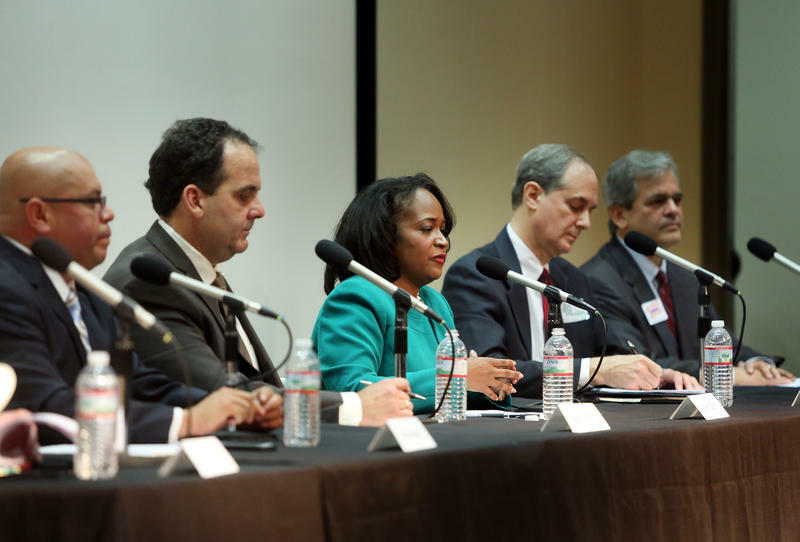 Seven of the eight candidates talked about how they'll deal with issues such as affordability, traffic and transportation, public education in an expanding city, and why they want to be Mayor of Austin. Still can't decide which candidate's getting your vote on Election Day? 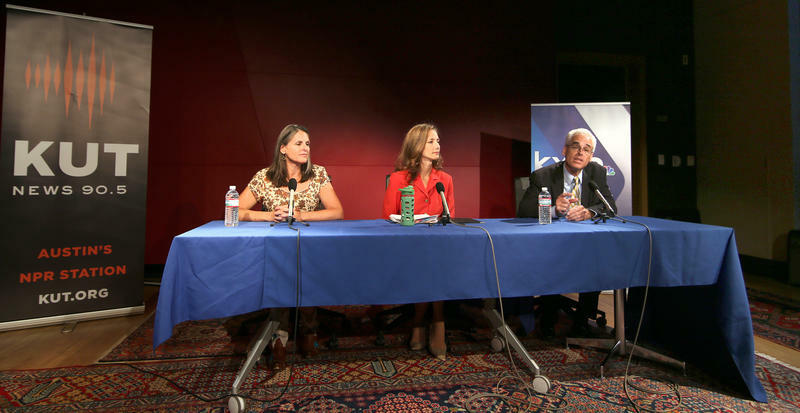 Below we've got the full audio and archived video of KUT's Ballot Boxing mayoral forum courtesy of KXAN. 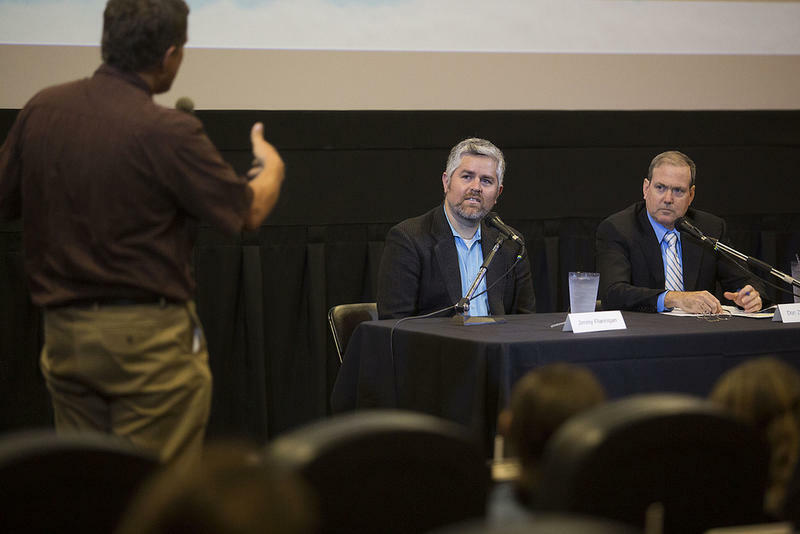 KUT partnered with the Austin Monitor, Univision 62, KXAN and the Austin Chronicle for our series of in-district Austin City Council candidate forums to allow voters to get to know the candidates running in the new 10-1 geographic representative system. Below you can listen to recordings of each of the 10 City Council candidate forums and view archived video of the forums courtesy of KXAN. The Ballot Boxing series came to a close last night with our mayoral forum at the Belo Center for New Media on the University of Texas at Austin campus. Six candidates for Austin mayor were joined KUT's Nathan Bernier and co-moderators Shannon Wolfson of KXAN and Michael Kanin of The Austin Monitor for a 90 minute forum to discuss transportation, property taxes, city-backed incentives, public safety and the future of the Austin City Council. KUT would like to thank our partners at Rock N Roll Rentals for supplying sound equipment and setup for all of the 11 Ballot Boxing forums, as well as our media partners at The Austin Chronicle, The Austin Monitor, KXAN and Univision 62 for their help throughout the series. You can listen to a recording of the forum below and view photos from the event above. 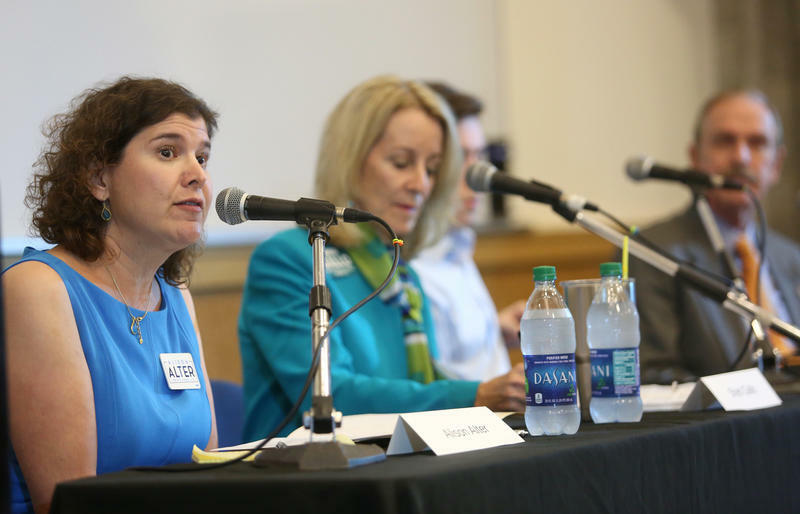 KUT continued its Ballot Boxing series of in-district Austin City Council forums Wednesday night in District 10. The candidates met at the LCRA's Red Bud Center on Lake Austin Blvd. Our Ballot Boxing forums will continue with the mayoral candidates on Wednesday Oct. 15 in the Moody Auditorium at the Belo Center for New Media at UT Austin. Below you can listen to the full audio of last night's forum and view a photo gallery above. 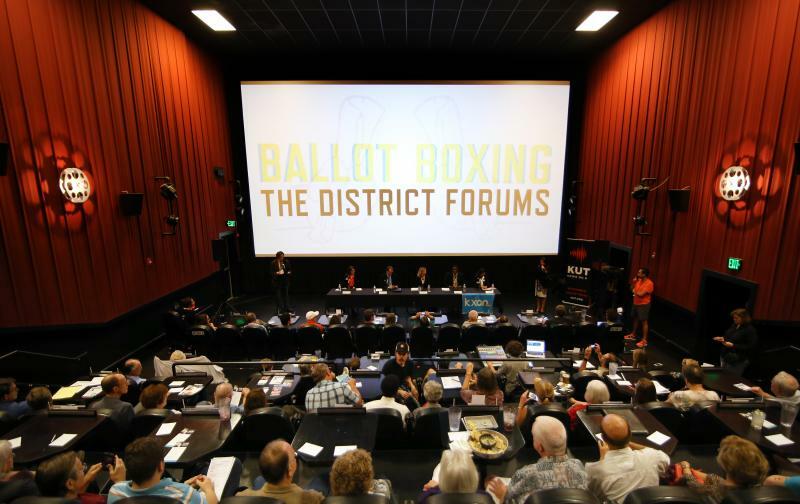 KUT continued its Ballot Boxing series of in-district Austin City Council forums Thursday night in District 7. Eight candidates joined moderators KXAN's Shannon Wolfson and Mike Kanin of the Austin Monitor at the Alamo Drafthouse Village on Anderson Lane. 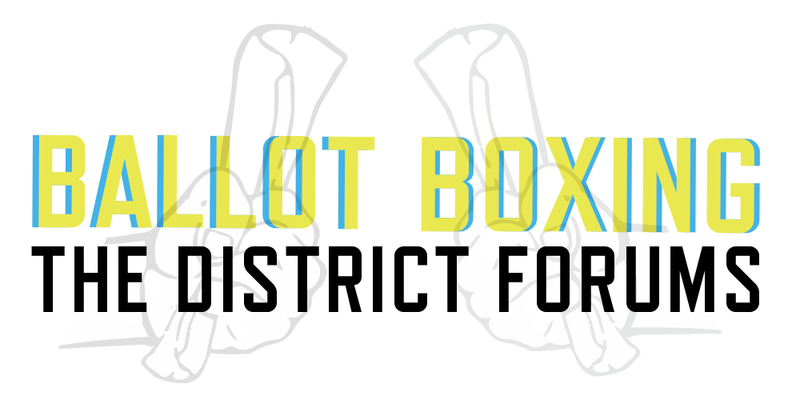 Our Ballot Boxing forums will continue this Monday Oct. 6 in KUT's Studio 1a with the forum for District 9. 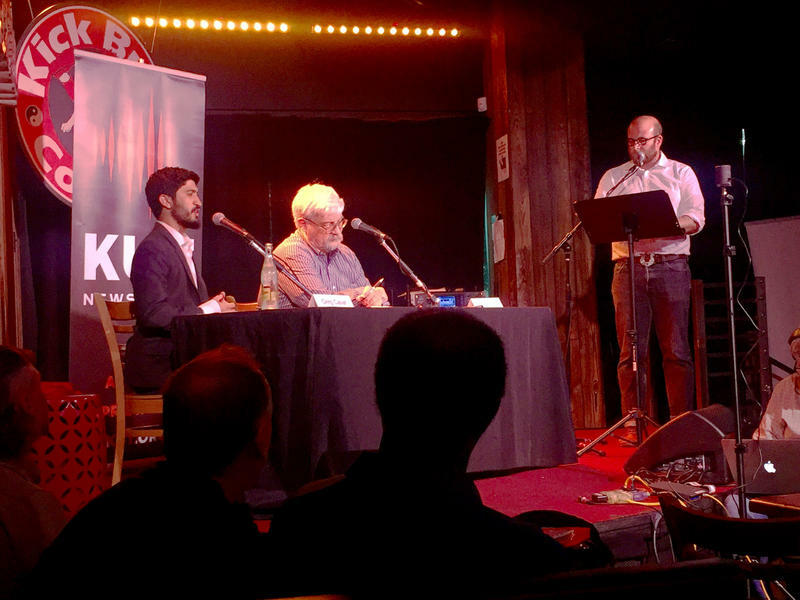 KUT continued its Ballot Boxing series of in-district Austin City Council forums last night in South Austin. 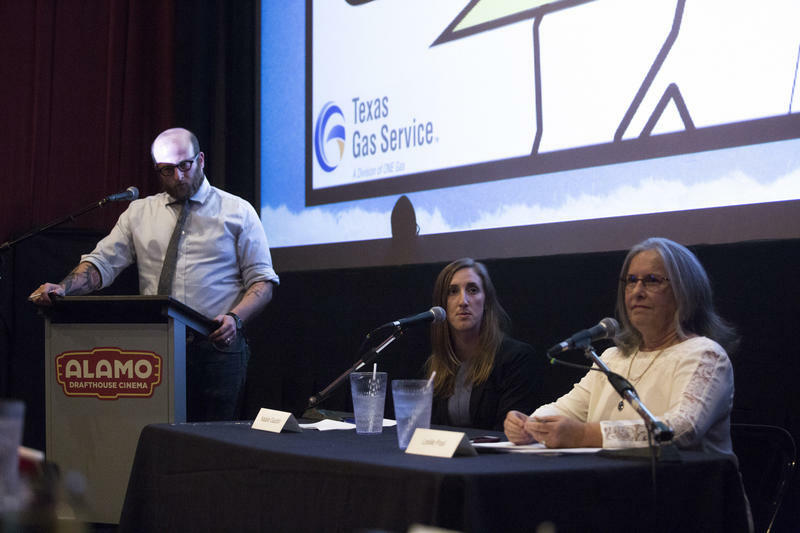 Five candidates joined moderators KXAN's Shannon Wolfson and Richard Whittaker of the Austin Chronicle, as well as a sold-out crowd, at the South Austin Alamo Drafthouse on Slaughter Lane last night. 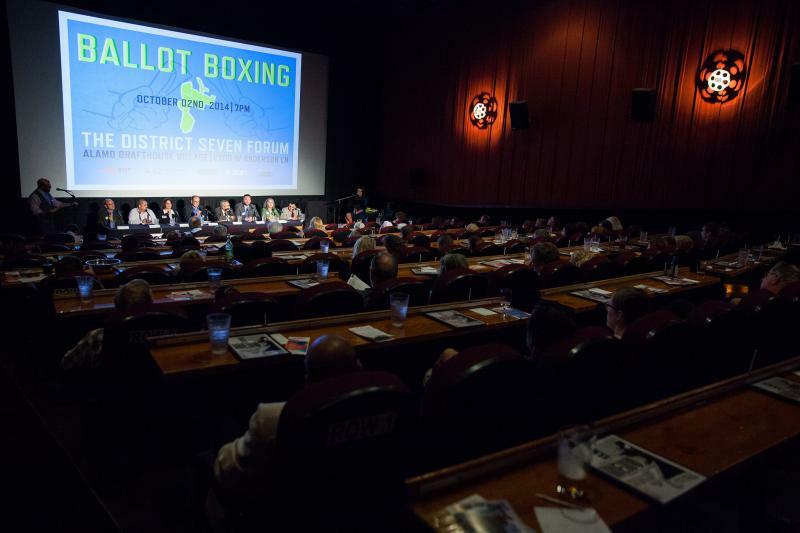 Our Ballot Boxing forums will continue this Thursday Oct. 2 at the Alamo Drafthouse on Anderson Lane with the forum for District 7. The Ballot Boxing series continued last night with the Austin City Council candidate forum for District 5 in South Austin. 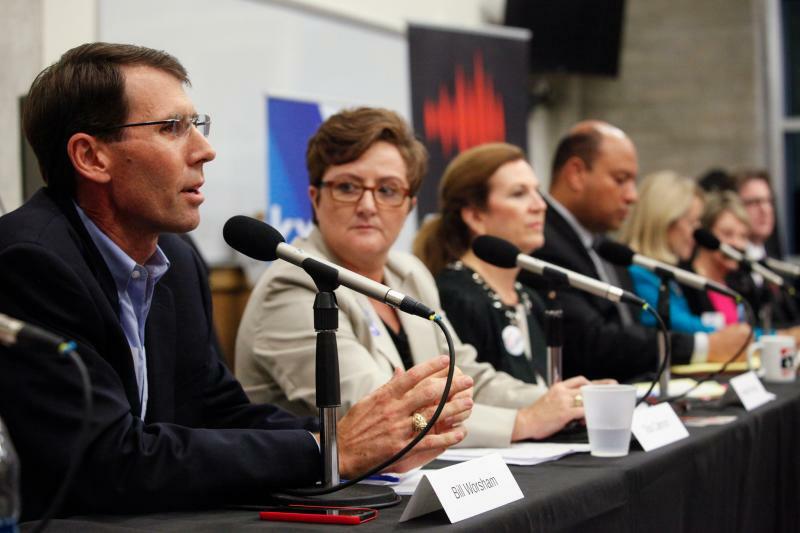 Seven candidates gathered at Austin Community College's South Austin campus with moderators Michael Kanin of the Austin Monitor and Mary Tuma of the Austin Chronicle. You can view a photo gallery above and listen to the full audio of the forum below. 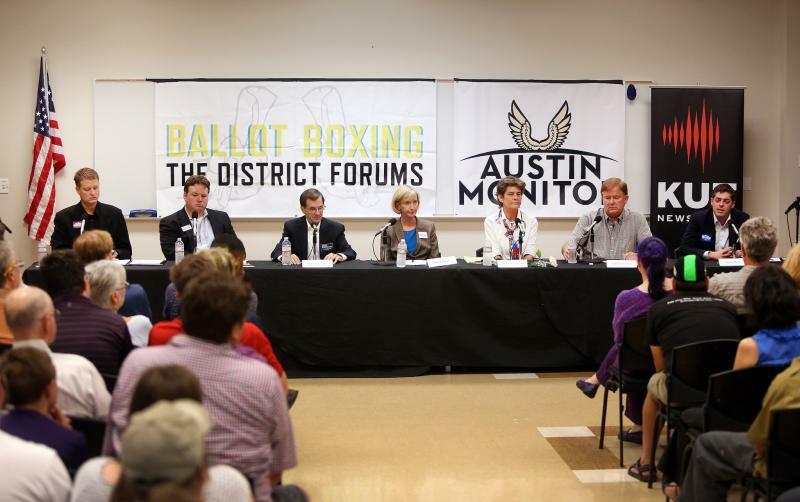 The Ballot Boxing series continued last night with the Austin City Council candidate forum for District 4 in North Austin. Seven of the eight candidates gathered at the Marchesa Hall with moderators Michael Kanin of the Austin Monitor and Regina Rodriguez of Univision 62. 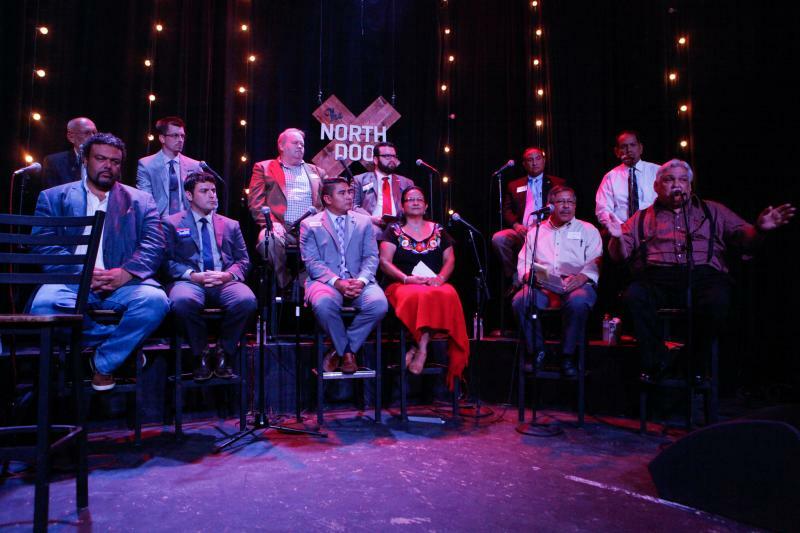 The 12 candidates vying for District 3's seat on the Austin City Council met for the first time last night at the North Door for the third installment of Ballot Boxing, a series of in-district debates sponsored by the Austin Chronicle, the Austin Monitor, KXAN, Univision 62 and KUT. Candidates discussed congestion issues, affordable housing, issues surrounding gentrification and the future of Austin going forward with the city's new 10-1 representation system. You can view photos of all the candidates from last night's forum above and listen to the forum in its entirety below. Last night KUT continued the Ballot Boxing series of in-district Austin City Council candidate forums at the Dove Springs Recreation Center last night in Southeast Austin. 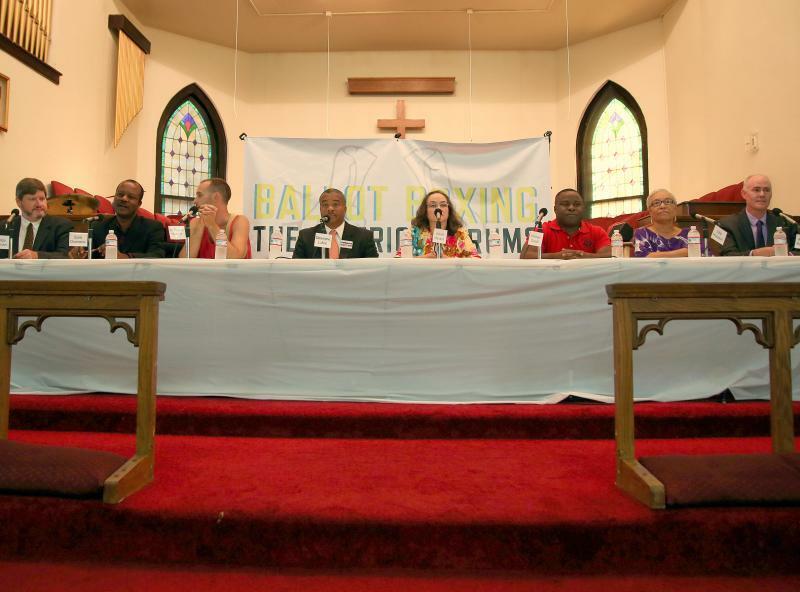 Last night KUT kicked-off the Ballot Boxing series of in-district Austin City Council candidate forums at Wesley United Methodist Church in East Austin. 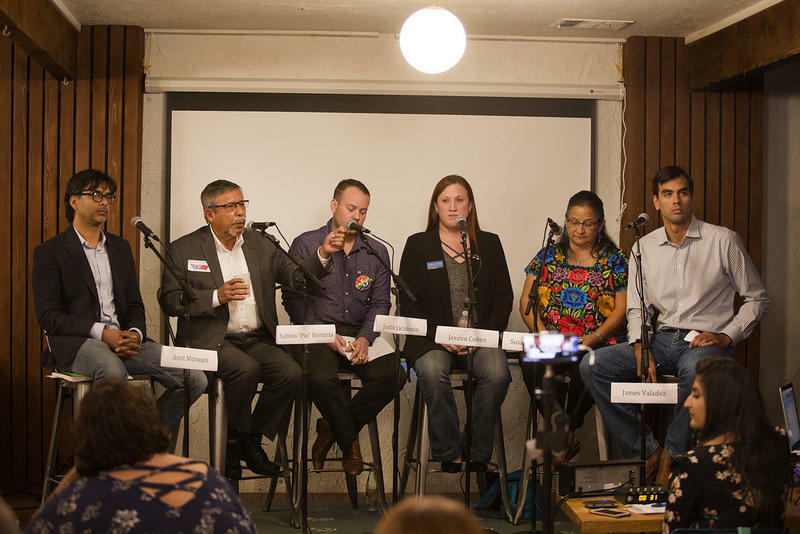 KUT's Joy Diaz and the Austin Monitor's Mike Kanin hosted and moderated the event, which featured eight of the nine candidates vying for the seat in District 1 this Election Day, with help from our additional partners the Austin Chronicle, KXAN and Univision 62. You can listen to the entire forum below.